Two of my favorite flavored vodkas are strawberry and raspberry. I have a sweet tooth and I like Dessert Martinis so I use both of these a lot. Combine them and you get a really nice berry flavored vodka, exactly what I did here. 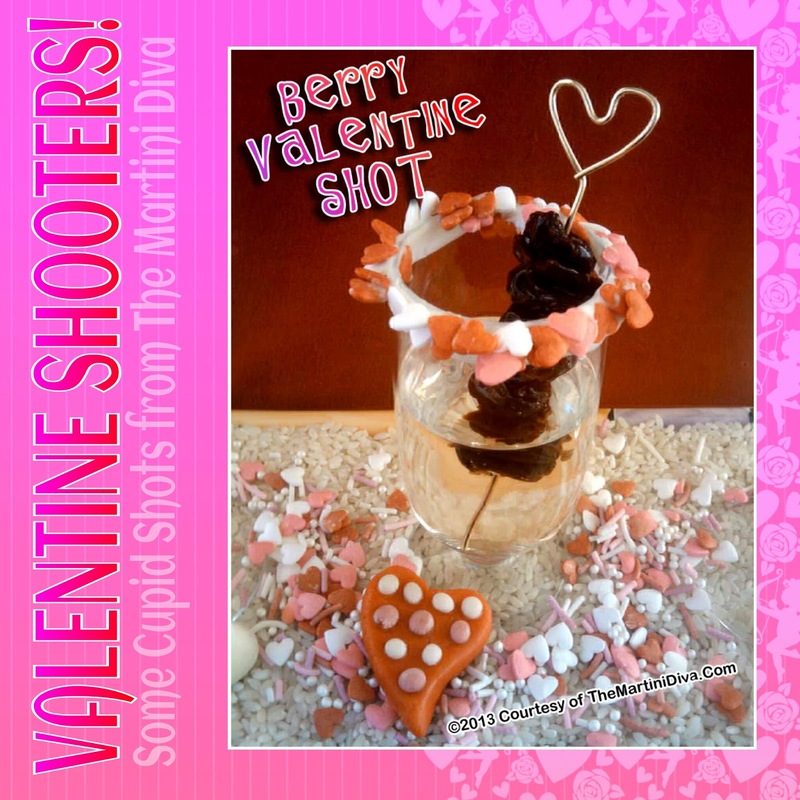 BERRY VALENTINE SHOT INGREDIENTS: 1 Oz. Strawberry Vodka 1 Oz. Raspberry Vodka Drunken Cherries Melted White Chocolate Valentine Colored Heart Sprinkles DIRECTIONS: First you have to make your Drunken Cherries, which is easy but you need to give them a few hours to get drunk! Just add some dried cherries to one of the flavored (or plain) vodkas and let them soak up all the boozy goodness. Next you melt the white chocolate then dip the rim of your two ounce shot glass or shooter into the white chocolate and then into the Valentine sprinkles. Add the raspberry and strawberry vodkas to a cocktail shaker full of ice, shake until chilled then strain into your shot glass. Slide several of the Drunken Cherries onto a cocktail pick, drop that into your Berry Valentine Shot and serve.